A couple of reviewers questioned the speed in which the Reich collapsed, once the protest movement went to work. While I understand their doubts, there are a number of countervailing points. First, the Reich is economically on the brink. They’ve been stealing from Peter to pay Paul for years now and they’re running out of resources. (This is basically what happened to the Soviet Union in OTL.) The last thing the Reich needs is a prolonged period of instability, as it would cripple what remains of their economy. This is why Gudrun’s mother notes that costs are going up; the Reich has been trying to impose price controls, but such controls rarely work in real life. Second, the nature of the protest movement – specifically, the fate of wounded or dead soldiers/SS – touches almost every German where they live. There are very few households in Germany that don’t have some contact with the military; theoretically, every German male is supposed to spend some time in uniform. (In reality, the numbers are somewhat lower.) It isn’t hard for everyone with a relative in the military to start wondering if a week or two without a letter means that their relative is dead … and that the government is covering it up. Even loyalists like Volker develop doubts when they think (and know, in his case) that their children are being expended and the government doesn’t even have the decency to tell them. Third, Gudrun’s campaign basically starts an avalanche. The leaflets provide an excuse to talk to Volker (a former SS officer) about the fate of his son. Volker realises just what happened to Konrad and uses it as a gourd to start a union (not that this is the only reason for the workers of the Reich to unite.) The government’s failure to squash the first strikes only emboldens countless others who have suffered in silence for years, too fearful to raise their voices. Fifth, the hawks in the Reich Cabinet deliberately set out to cause a riot towards the end of the book. Their thinking is that they can use special troops (i.e. men who won’t hesitate to butcher German civilians) to teach the mobs a lesson, then take advantage of the shock to re-establish control over the country. Instead, it sparks a mutiny. Soldiers who have been taught that their duty is to protect German civilians, soldiers who are already wavering because of the fate of their dead or wounded comrades, turn on the SS troops. The mutinies spread from there as an already badly-weakened structure starts to collapse. Obviously, the trouble has only just started <grin>. There’s another point that should probably be mentioned, although it’s not an easy point to make clear in the book itself. Gudrun isn’t as afraid of the Reich as, perhaps, she should be … because her father is a policeman and her boyfriend is an SS stormtrooper. She knows it isn’t safe to open her mouth and speak freely – she watches her mouth as closely as anyone else – but she feels safer because she knows the prospective enemies. This may not be a wise attitude, but it’s part of her. It’s been a strange year for Aisha and I. Most important, of course, was the birth of our son Eric on 23rd December 2014. I find it hard to believe, looking at him now, that he was really so tiny when he was a newborn, to the point where I stared in disbelief at one of my nieces and wondered why she was so tiny. 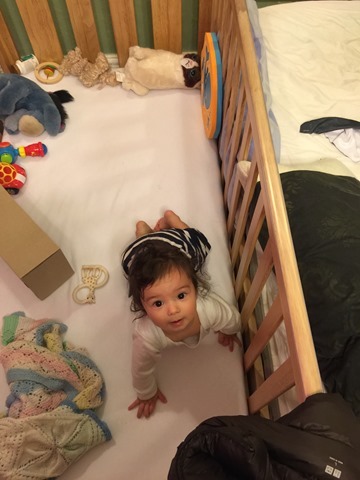 Eric learned how to crawl (like a rocket) in June 2014 and has been standing upright recently, although he has yet to manage to take his first step. He’s also eating mushy food and has recently started gobbling down adult food (once mashed up in the mixer). Writing has been going remarkably well, despite the arrival of a baby. I completed the second Ark Royal trilogy (Warspite, A Savage War of Peace, A Small Colonial War), the Bookworm series with Full Circle and recently completed the first draft of The Barbarian Bride. I’ve also written two new The Empire’s Corps books, two new Schooled In Magic books and kick-started a new alternate history series, Twilight Of The Gods, with Storm Front. 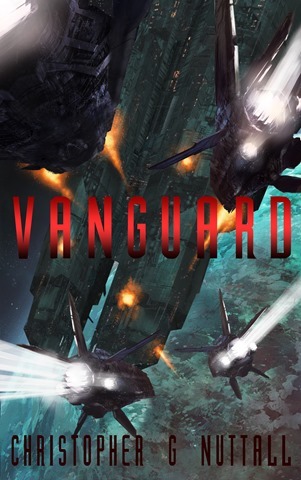 I’m currently planning to write Vanguard (Ark 7) followed by Sons Of Liberty and They Shall Not Pass (Empire’s Corps 12) … well, we’ll see. Falcone Strike, the sequel to The Oncoming Storm, is due out in mid-January. I’m hoping to write several more books in the series, but I don’t have a signed contract or due date yet. My provisional titles are Unlucky, The Highland Line, The Hammer of God and Lightning Strike. These may, of course, change over the coming months. Wedding Hells (Schooled In Magic 8) is out and doing well. My current plan is to write books 9 and 10 close together, because one of them is a fairly direct sequel to the other. Ideally, of course, I’d prefer to keep them as stand-alone as I could (I’m not a fan of massive books that only advance the plot a few inches), but for reasons that will become clear when you read the books that simply wasn’t possible. In other news, I’ve signed a contract to bring the Schooled In Magic books out in audio format. We attended EASTERCON in London, RAVENCON in the United States and NOVACON in Nottingham this year; the first two were larger than I’d expected (I was on a panel for the first time in my life) while NOVACON was smaller, but still pretty interesting. (As you can imagine, I bought a lot of books.) I’ve been invited to HONORCON as one of the guests of honour for 2016, so if you happen to be in the area please don’t hesitate to come along and say hello. I may be going to a couple of other conventions in the United States (we’re already booked for EASTERCON 2016 in Manchester) but I can’t guarantee anything. Please keep an eye on my blog for details. Anyway, that’s enough blathering. <grin>. I wish you all a very Merry Christmas and a happy new year. And if you want to give me something for Christmas, please feel free to leave a review <wink>. 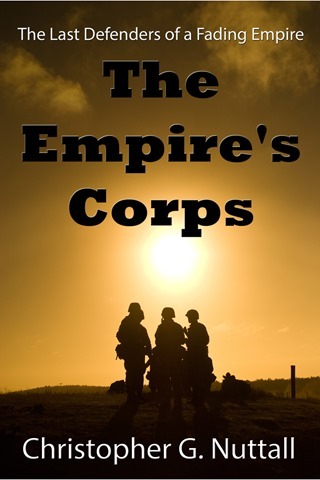 As a Christmas gift to my readers, it gives me great pleasure to announce that, between 24th December to 26th December, US time, The Empire’s Corps, the first book in the series, will be available for free download from Amazon Kindle. Click here for a free sample. Captain Francis Preston snorted, rudely. HMS Magellan and HMS Livingston had been probing the tramlines before Tadpole space for the last six months, only to find nothing beyond a pair of uninhabited worlds that would probably be turned into joint colonies. Nothing to sniff at, to be fair – the crew would be able to claim a bonus from the Survey Service – but nothing to shake the universe either. Francis nodded, then looked around the bridge. The younger members of the crew, their enthusiasm undiminished by six months of nothingness, looked excited, while the older crewmen were checking and rechecking their consoles as they prepared for the jump. It was rare for a previously undiscovered tramline to throw up any surprises, but several survey ships had set out on exploration missions and vanished, somewhere in the trackless wastes of interstellar space. Who knew? The tramline could lead to anything. “Aye, sir,” the communications officer said. He let out a breath as the display dimmed, slightly. There was no way to know what was at the other end of a tramline without jumping through, which was why survey ships tended to operate in pairs. If Magellan failed to return, Livingston would head back to the nearest military base at once, rather than try to follow her sister ship. It would be tough on Magellan if she needed assistance, but standing orders admitted of no ambiguity. Maybe she’d fallen right into a black hole – it was theoretically possible – or maybe she’d run into a hostile alien race. It was the latter thought that kept the Admiralty’s planners up at night. Humanity’s first encounter with an alien race had almost been its last. But the odds against meeting another spacefaring race are considerable, he reminded himself, firmly. It was sheer luck that we ran into the Tadpoles when they were at relatively the same stage of development. The starship shivered, slightly, as she jumped down the tramline and into the unexplored system. Francis let out a breath he hadn’t realised he was holding as the display flickered and then rebooted, displaying a standard G2 yellow star. Most transits were routine, thanks to the wonders of modern technology, but an unexplored tramline might have an unexpected gravimetric flux that could cripple or destroy a ship. The odds were staggeringly against it, yet there was one tramline, right on the other side of explored space, that had eaten every starship that jumped down it. No one had returned to tell the tale. Francis rose from his command chair and hurried over to the tactical console. There were at least two planets within the system’s life-bearing zone, both surrounded by the yellow icons of unidentified ships, space stations and radio sources. Hundreds of icons were swarming through the system, some clearly heading to an asteroid field and others making their steady way towards a gas giant. He felt his heart start to pound in his chest as the computers struggled to match the unknowns to something in its memory … and failed. They were staring at a whole new spacefaring race. Francis closed his eyes as he thought, rapidly. A race on the same level as mankind – and the Tadpoles – should certainly know about the tramlines that allowed starships to jump from system to system without having to cross the gulf of interstellar space. Mastering drive fields should certainly give them the technology to locate the tramlines and jump through them … unless, of course, they’d somehow managed to miss one or more applications of the technology. Humanity had certainly missed at least one before the First Interstellar War. Francis shrugged. There were quite a few human groups that would have considered the system a perfect place for a settlement, one nicely isolated from the temptations of the modern world. But then, maybe they didn’t have access to the tramlines …or, perhaps, to the weaker tramlines the Tadpoles had learned to access. They might not have been able to progress much further even after they left their system. Or they might have been able to access other systems through the other tramlines, he mused, and merely decided to leave a seemingly-useless system alone. “Aye, sir,” the helmsman said. Francis nodded. The Tadpoles had shown no real interest in the pre-space Vesy, but he was sure they’d be more than interested in a spacefaring race. And he was fairly sure they wouldn’t try to keep the information for themselves. They just didn’t seem to have the same capability for deception as humans. He took one last look at the display, watching the alien ships, then nodded to himself. Susan kept the doubt off her face with the ease of long practice. She would have been surprised if Mrs Blackthorn remembered her as anything more than a trouble-maker, one of the girls who had been sent to her for disciplinary action. Her father had been an immigrant, her mother a shop-girl with few prospects … Susan had been a commoner in a school where a good third of the students had aristocratic, government or military connections. She had a feeling the headmistress had probably downloaded and read her school reports just so she could pretend to remember Susan. She sighed inwardly as she looked up at the towering school. It had struck her as a castle, when she’d first arrived as a twelve-year-old, but to her older eyes it looked as if its builders had been trying too hard. Four towers, two for boys and two for girls, surrounding a mansion, set within the Scottish Highlands. She winced in remembered pain at memories of long hikes over the mountains, although she had to admit that some of them had been almost enjoyable. There was definitely something to be said for a long walk followed by fish and chips in a cafe near St. Andrews. And I never tried to skive off, she thought, ruefully. Father would have been disappointed in me. She sucked in her breath as they entered the Welcome Hall, where a large portrait of Sir Charles Hanover hung in a place of honour, flanked by portraits of King Charles IV and Princess Elizabeth, the heir presumptive to the throne. Susan had met the princess, during a formal visit to the Luna Academy, but she couldn’t say she knew the lady, while too many of her schoolmates could. She sighed, remembering old pains, and then pushed them away firmly. Far too many of her former schoolmates had died in the war. Mrs Blackthorn nodded and led her though another wooden door and down a long corridor towards the Great Hall. Unless something had changed since her time, Susan recalled, students weren’t permitted in the staff corridor unless they were escorted by a tutor or given a disciplinary slip. Being caught in the corridor – or in the wrong tower – would get a student in hot water, but that hadn’t stopped the more daring students trying to run through the corridor without being caught. She’d done it herself a few times before she’d found more interesting ways to get in trouble. And there would have been no thrill if it wasn’t forbidden, she thought, ruefully. Did I really believe that it was daring to run down a corridor? Susan smiled at the thought, then pasted a fixed smile on her face as Mrs Blackthorn led her through the doors and into a sideroom. She checked her appearance in the mirror as the headmistress hastily consulted with two of her tutors, then sat down to wait. It was nearly twenty minutes before she heard Mrs Blackthorn introducing her to the students, detailing her career in glowing terms. She made it sound as if naval commander meant Susan was in charge of the entire navy! At least she didn’t have the students waiting all morning, she told herself. It had happened, more than once, when she’d been a student. The early relief at skipping classes had rapidly been replaced by boredom. 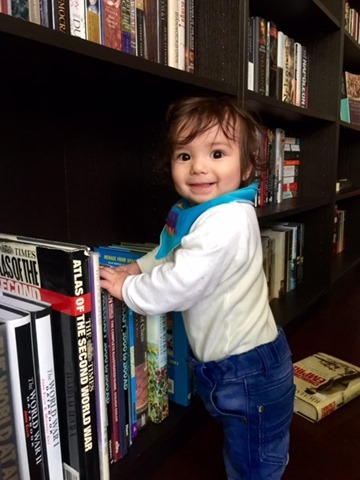 She’d managed to land herself in hot water, the second time, by smuggling a book into the room. I guess I’m not that important. She braced herself as Mrs Blackthorn’s speech came to an end, waited for her cue and then strode up onto the stage. A ripple of applause greeted her as she took the podium and peered down at the students. They all looked so young, wearing the red blazers, white shirts and black skirts or trousers that she recalled from her own schooling. Boys and girls were firmly segregated, even outside the Great Hall; they attended different classes, ate at different times and slept in separate towers. Finding a few minutes alone with a potential boyfriend had always been a challenge. But it was worth it, she thought, as her gaze swept the room. It was definitely worth it. She paused, studying the room. Most of the faces looking back at her, scrubbed clean of make-up or anything that might give their faces a little individuality, were unquestionably white, but here and there were a handful of darker faces, girls and boys descended from immigrants like her father. The Troubles had a great deal to answer for, she knew; being a young woman without connections at the naval academy would have been quite hard enough without her fellow cadets eying her suspiciously. Her father had worked hard to be more British than the British and even he had never quite been accepted. She had never known true acceptance until she’d passed the Middy Test. “Apparently, there’s a great deal of wondrous things I am meant to tell you about the navy,” she continued, “and some of them are even true. You will see sights that no ground-pounder will ever see, if you join the navy, and you will get the chance to be part of something far greater than yourself. I have never regretted joining the navy and I never will. But I’m not going to sugar-coat it for you. The navy can also be the hardest, the most dangerous, career in the galaxy. “Space is unforgiving. One single mistake, just one, born of tiredness or ignorance, can get you killed. Two of my fellow cadets, in the first year at the academy, were killed, one through carelessness, one through a mistake on the part of another cadet. Space doesn’t care about the colour of your skin” – she held her dark palm up for them to see – “or about your connections. The cold equations rule. If you miss with space, space will kill you. “If you wish to become an officer, you have to endure four years in the academy, in sleeping compartments which make sixth-year bedrooms look tiny. And then you will have two to three years as a midshipman, sleeping in even smaller compartments. You will spend half your time as grimy and smelly, if not worse, as you were after completing a ten-mile hike around the countryside. And then, after you hopefully learn the right lessons, you will be promoted to lieutenant and your career will begin in earnest. “If you wish to become a starfighter pilot, you will only have a single year of training before you get your fancy uniform and an assignment to a fleet carrier. But you’ll also have a far greater chance of being killed, if we have to go back to war. A starfighter pilot has a one in three chance of dying during his first skirmish with the enemy. And very few starfighter pilots, even if they survive, can build a career in the navy. My first commanding officer was one of the few – the very few – who did. Susan paused. “I doubt that most of you do want to become a crewman, but they are the mainstay of the fleet. It is the crew who keep the ship going, not the officers, no matter how much gold braid they have on their uniforms. And a crewman is often in the best position to make a spacefaring career after they leave the navy. They’re the ones who master the technical skills merchant ships need. “Some of them will give up on the thought of a naval career,” Mrs Blackthorn said, sharply. She remembered the young girls and boys looking up at her and shuddered, inwardly. The school’s uniform policy ensured that there were no differences, on the surface, but the rich and well-connected kids had always had an advantage. Students like Susan had worked hard, knowing that some of their fellow students would always be elevated above their heads, even if their grades were pathetic. She knew she was lucky not to give in to bitterness … and that others hadn’t been so lucky. One of her fellow students had deserted his country in the years following the war. Susan shrugged and followed the older woman through another maze of corridors and into a comfortable sitting room. There were seventeen students waiting for her, all in their final two years if the markings on their blazers were accurate. She would have been surprised to encounter any younger pupils, even though they might well be interested. The upper years guarded career meetings with as much determination as aristocrats defended their clubs from the hoi polloi. Any younger student would probably be given a clip around his ear and told to piss off. She waited, patiently, as a grim-faced teenage girl wearing a maid’s uniform served tea and cakes, passing out scones and jam with an unmistakable lack of enthusiasm. She was probably on detention, Susan guessed; Mrs Blackthorn had a nasty sense of humour when it came to handing out detentions and making an aristocratic brat serve the tea was precisely what she’d do. Luckily for her, the headmistress’s looming presence kept the students from mocking her or creating a mess for the poor girl to clean up. Like the Battle of New Russia, she added, silently. She’d been in the academy at the time, but the she’d been just as scared as her tutors when the news sank in. We didn’t just get beaten, we got exterminated. She looked up, surprised, as Mrs Blackthorn left the room, then returned, moments later, carrying a datapad, which she held out to Susan. Susan took it and blinked in surprise. It was a recall order, summoning her back to London as soon as possible. Someone had even arranged for her to fly via military jet from the nearest RAF base. The worst part, unfortunately, was Eric catching a minor flu (or something) a couple of weeks ago and developing a temperature. We rushed him to the doctor, who prescribed antibiotics; he got better, then threw up rather badly on the previous Thursday, which meant another trip to the hospital. 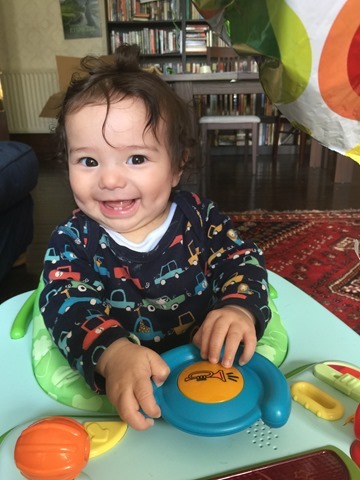 He does seem to be on the mend right now, but it was terrifying to hear him cry – I can’t wait until he’s old enough to tell us what’s actually wrong. The good news, at least, is that I have finished the first draft of The Barbarian Bride, which completes the Decline and Fall of the Galactic Empire trilogy. It’s currently due out in early March, but I’ll keep you updated. We may see it earlier. I’ve also published Wedding Hells (Schooled In Magic 8), finally, and Storm Front. The former took far longer to edit than I expected, but … well, the final product is a great deal stronger for it. The latter is an alternate history novel, book one of a trilogy following a civil war in the Third Reich. You can read more about it in this interview. My current plan, after running a poll on my Facebook Fan Page, is to write Vanguard next, followed by Sons of Liberty (The Royal Sorceress IV), They Shall Not Pass (The Empire’s Corps 12), Infinite Regress (Schooled In Magic 9). I hope to have a contract to write Unlucky (Angel In The Whirlwind III), but we don’t have any solid news on that at the moment. There have been some odd developments with Facebook recently – I haven’t been able to see, directly, both of my last two promotional posts. Others have seen them (I can see their replies) but the posts themselves are inaccessible. Clearly, not all of the posts are shown to the viewers. If you want updates, please join my blog or mailing list. The latter is only used for new releases. In other news, Eric’s birthday is on the 23rd, so I’ll be taking that day off. In 1941, Adolf Hitler didn’t declare war on the United States. Now, in 1985, the Third Reich stretching from the coast of France to the icy wastes of Eastern Russia, appears supremely powerful. With a powerful force of nuclear warheads and the finest military machine on Earth, there is no hope for freedom for the billions who groan under its rule. Adolf Hitler’s mad dreams have come to pass. And yet, all is not well in the Reich. The cold war with the United States and the North Atlantic Alliance is destroying the Reich’s economy, while a savage insurgency in South Africa – a war the Reich cannot win and dares not lose – is sapping its military strength. And, while the Reich Council struggles to find a way to save the Reich from its own weaknesses, a young German girl makes a discovery that will shake the Reich to its core.